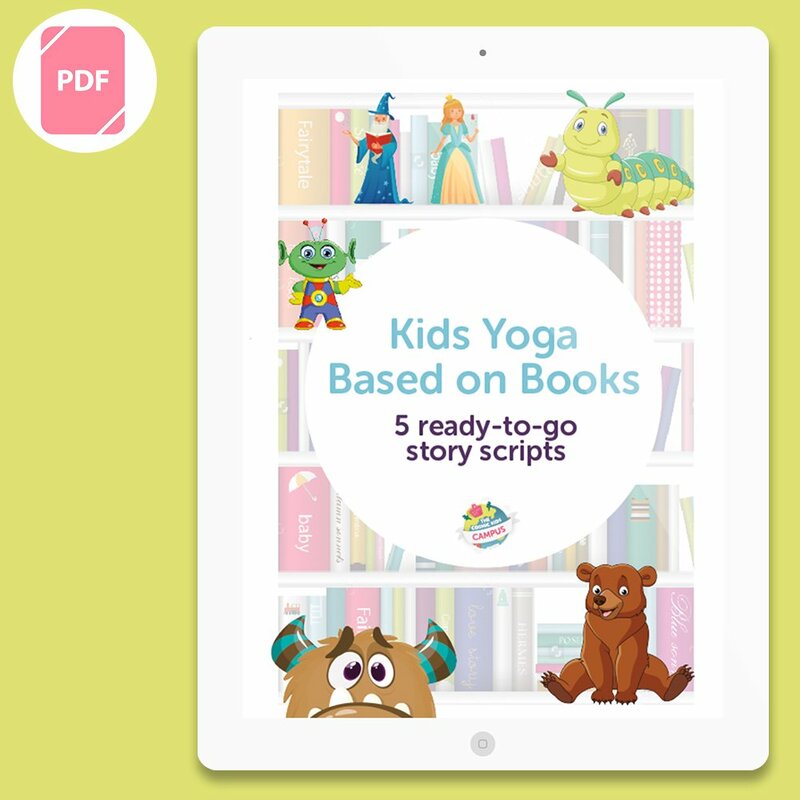 Five wonderful children’s books adapted into yoga story scripts. These are designed to be used by kids yoga teachers who have experience teaching yoga to children and know the poses. 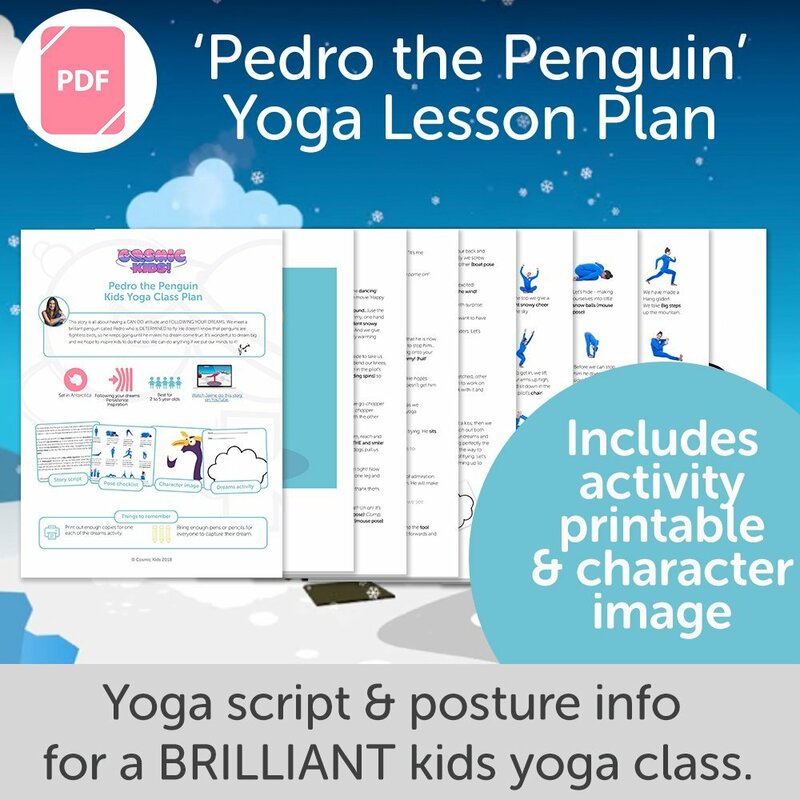 To see an example (free) kids yoga script, please download our sample class plan pack. 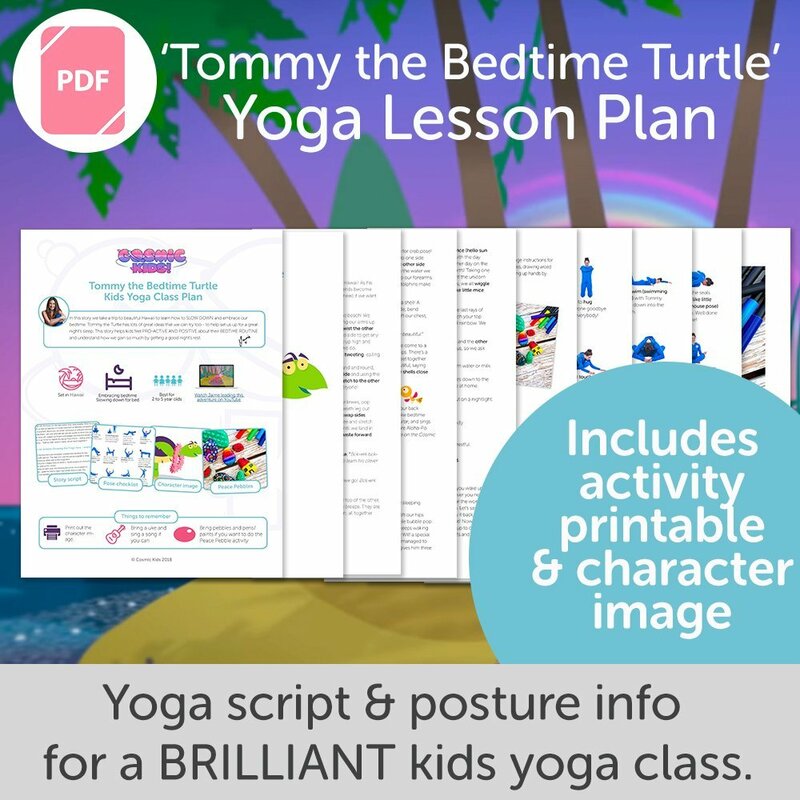 Use the Big Book of Kids Yoga Postures as a guide to all the poses, so you feel confident on what they are, what they do and how to instruct them. 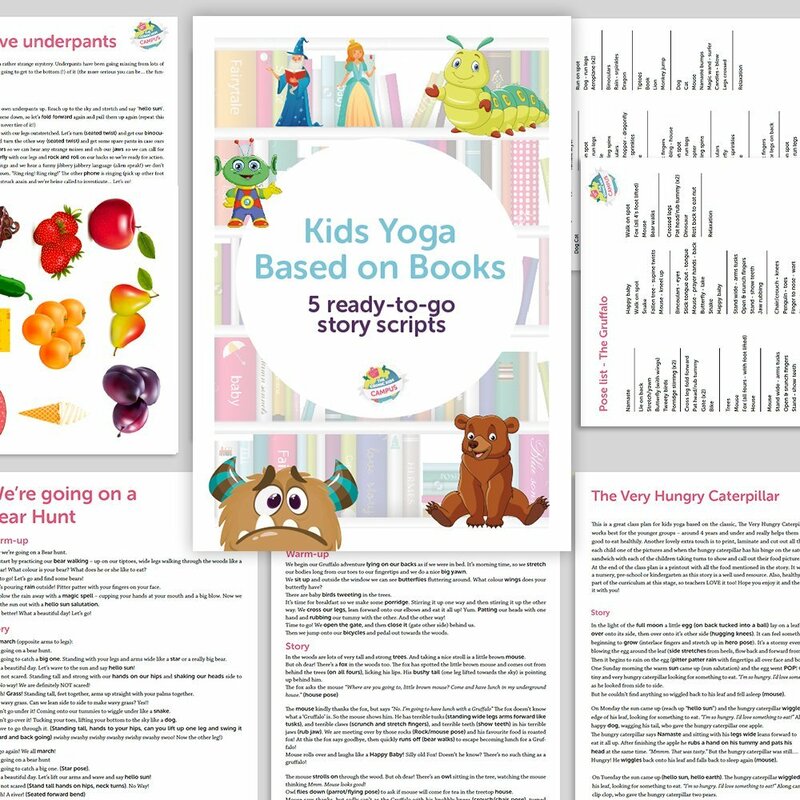 Each story is written as a yoga story script, giving you the narrative of the story and the yoga poses indicated by the words in a different font to the rest of the script. At the end of each story is a script you can use for a guided relaxation to bring your class to a beautiful and calm end. These are designed to be used by kids yoga teachers who have experience teaching yoga to children. 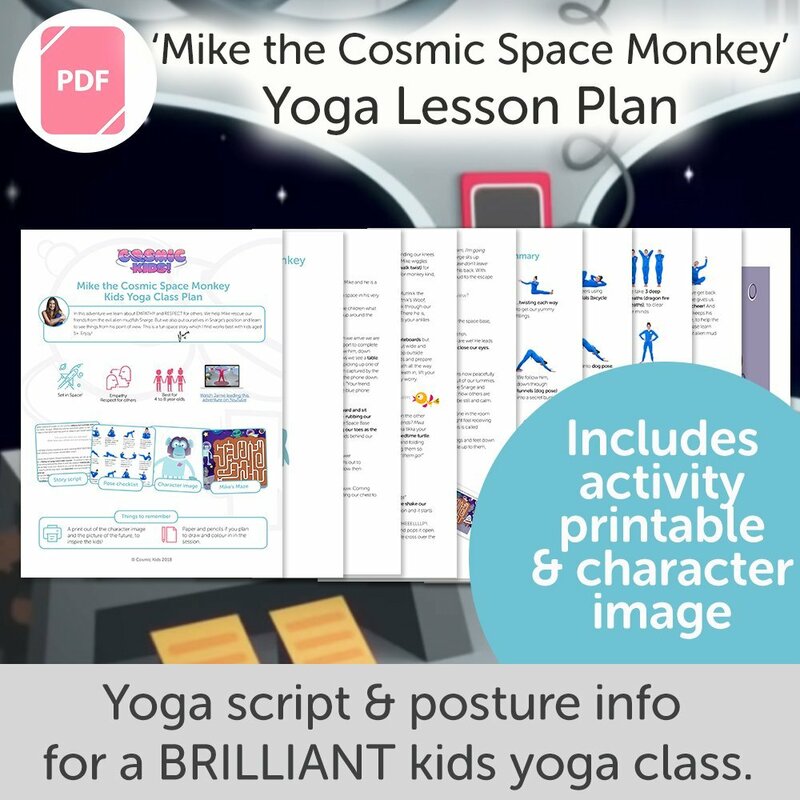 To see an example (free) kids yoga script, please download our sample class plan pack. All of these plans have been written and road-tested by me (Jaime) in my own classes. I can safely say, the kids have loved them! These stories work best with younger children aged 3, 4 and 5 years old, although kids aged 6 really enjoy the silliness of Aliens love underpants and the Princess and the Wizard.